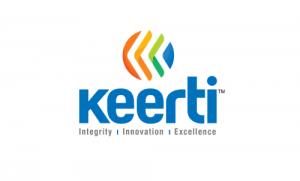 KEERTI is one of the largest IT training institutes in Mumbai & Thane region that trains youth and students in multiple segments of Information Technology. The widespread network of its centers is committed to quality education, training and professional certifications that empower the students to meet the growing challenges of IT industry. The company has expanded its business through its two subsidiary Companies i.e. Keerti Institute India Private Limited and Keerti Tutorials India Private Limited and the Company has vide Business Transfer Agreement dated 2nd April, 2015 has transferred its business of IT education sector which is on franchise basis to the Keerti Institute India Private Limited (KIIPL) for advancement and to rationalize the future growth of franchise business in IT education sector in future along with authorization of Maharashtra Knowledge Corporate Limited (MKCL)to conduct MKCL’s Courses. Thereafter, KIIPL entered into 90 afresh franchisees Agreements at various locations in Mumbai and Thane. Keerti Knowledge & Skills IPO allotment status is now available on Link Intime’s website. Click on this link to get allotment status. Such small company and PE ratio of 27!! !